The old record player whirring in the corner, surrounded by artists, students and west enders, Graeme McComb, of George F. Walker’s new play Moss Park at Theatre Passe Muraille/Green Thumb Theatre, and I were barely able to grab a seat when we met for our interview at Saving Gigi. He’s working in Toronto for the first time, hailing from the west coast, but I have a feeling this isn’t the last time we see him. SSB: So how was opening night? GMC: It was great. It was actually the premiere of the play, here in Toronto. The energy in the building was really good. Full house. SSB: How are you finding being in Toronto for the first time? GMC: It’s great. The arts are very rich here. It’s really cool to come into a artistic community that feels so alive. In Vancouver it’s a little less so. The funding from the provincial government is not as high as in Ontario so there isn’t the same amount of work going on. 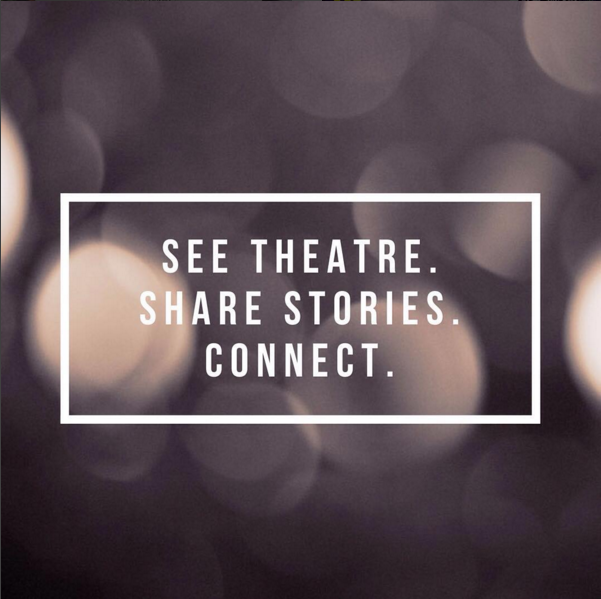 There are just way more theatres here than in Vancouver – more companies functioning. Even The Vancouver Playhouse – a big regional theatre – had to close a couple years ago. It’s really sad. So for me, if I wanted to be a consistently working actor, I’d have to move here. SSB: How did you get involved with this show in particular? GMC: I did a show earlier in the year that Patrick McDonald cast me in called Cranked. It toured around BC, California and Tennessee – we went to Nashville. During the end of the run, he knew he was directing this play and he asked me to audition for it. And I went to the audition, and was lucky enough to get it. SSB: So you already had a relationship with the director? What was it like working with him? GMC: Yeah. Really good relationship. He’s a great guy. I wish he could direct me in every play that I’m in. The way that he has fun and makes us feel comfortable… his incite is very unique. And I really feel like I work well with him. We have similar styles in approaching the work. I like to have fun, but I like to get down to work. We kinda speak the same language. SSB: Something I find so interesting about Green Thumb, is that they do youth theatre, but it’s not just for youth. It’s stories for everyone about youth. Can you speak to that? GMC: The show I did with them before this (Cranked) was for high school students. It had mature themes: it was about crystal meth and drug addiction. We have a Q and A after the show, so the students had the opportunity to ask me any question they wanted to. But sometimes I’d find the teachers asking a lot of questions and being very affected by it as well. The show’s created for the kids, to help them understand that these issues happen, but it’s a message for everybody about addiction and a journey through addiction. Even (Green Thumb‘s) elementary school tours are so well written and so well directed and produced, that they tour to theatres and the teachers get into them as well. I’ve seen a lot of them and watching that as an adult they’re still really moving and effective. But as a little kid… wow… they get totally into it. SSB: It sounds like it has something to do with not talking down to kids. GMC: You could just tell they were thinking: “What’s going on? !” And then I’d go into a monologue about old zombie movies and new zombie movies, comparing the two of them. And they’re expressions were like: “What the hell? !” And then I just go into a rap song. And by the first two, three minutes, they were into it. SSB: So you rap too? GMC: Well I’m not a rapper… but for the show I was. Green Thumb commissioned a rapper named Kyprios from Vancouver to write the songs specifically for the show. And they hired a DJ named DJ Stylust to make all the beats. So we got to incorporate all these original songs made for the show. This character Stan, it’s just his personal journey. And the character is 17, it’s not an older person talking to them. It’s this young guy, going through rehab, going through addiction, stealing stuff from his family… And they really connect with it. SSB: Your character in Moss Park, which is the show you’re doing right now, is also a young man dealing with some tough issues. Can you tell us what is that play about? GMC: George F. Walker who wrote the play, wrote a play in 1994 called Tough! and it’s based on three characters: Jill, Bobby and Tina. Bobby and Tina are together but they come from poverty and they have a rough upbringing. The play starts off with Tina accusing Bobby of cheating on her – he’s just a young guy, he doesn’t really know how to grow up. Then you find out Tina’s pregnant. This play is a sequel to it. It’s set three years later. They’ve had a little girl, Holly: she’s not onstage. It’s just Bobby and Tina this time. Jill’s offstage taking care of Holly. They’re trying to figure they’re life out because you find out that Tina’s pregnant again. She basically says to Bobby: “I have to have an abortion, because you can’t take care of a child and we have no money.” On top of that, my mom and I are getting evicted. It’s life or death the whole time, that’s how high the stakes are. For sixty minutes straight, it’s just Bobby and Tina trying to work through it, and fight for their relationship and their baby. SSB: Moss Park is at Theatre Passe Muraille, which is not a youth theatre, it’s a general theatre open to the public. So unlike Cranked, which you brought straight into schools, it’s taking the youth story and putting it on for everyone: youth AND adults. Do you think that’s important? How does it compare to your experience with Cranked? GMC: Our opening audience, it was an older crowd. And Tina talks a lot about poverty, about coming from poverty. There’s a story about her grandfather and his experience. A lot of people could relate to that. I could see them relating to it. But then there was also all the youth content that a lot of the younger people could relate to as well. So it’s a show for anybody. It’s not a specific message driven piece. It’s a little hour of these two peoples lives and it doesn’t end full circle. They’re just fighting to be together, they’re fighting to have their child, they’re fighting to have a life and trying to figure it out. And they don’t give up. If they did give up there’d be no play. SSB: I find there are a lot plays about relationship issues and poverty and trying life decisions, but focused on older characters. But in this case we have just two leads on stage.. and they’re both young. And it’s not a TYA show! That’s unusual. I know it gets me very excited, and a lot of people are excited to see it. SSB: How was your experience working with the other lead Haley McGee? GMC: It’s been amazing. She’s so perfect for the part. I keep telling her, I don’t know how I would do it without her. She’s so generous on stage and an amazing actor. And being from Vancouver, I auditioned with a lot of women who were my friends that I knew already. Then I found out I got the part and Haley had gotten it, and I thought: I don’t even know her, and we have to be in love! But she’s great, she’s wonderful. I couldn’t have asked for a better Tina. SSB: This character, Bobby, comes from a different background than you. How did you go about getting inside his experiences? GMC: It was really cool to have George in the rehearsal process the whole time. Him and Patrick have worked together for years so they’re really good at working together. Bobby is really close to George’s heart, both of the characters are, so he had a lot of really good incite about Bobby. A lot of the work was just building it in rehearsal through the text and through Patrick’s direction, and of course seeing myself in him as well. I’m young, he’s younger than me, but not too long ago I was his age. And I really relate to a lot of the stuff he goes through. For example, he wants so badly to figure his life out and to grow up, but he just doesn’t know how to do it. He’s never done it! He has a line, where he just wishes someone would tell him how to grow up: “Tell me how to grow up, tell me how to man up. I just don’t know how to do it!” It’s not like he’s says: “yeah I just really don’t want to.” He’s not passive. He’s fighting for it. He’s trying to figure that out the whole time. So I love Bobby. He’s funny and he’s sweet. He just sometimes doesn’t say the right thing… but he’s trying to though! He means so well. But he just comes off … wrong. SSB: So what your saying is Bobby’s situation is very relatable. You can just ask yourself: What would I do if I was in his situation? GMC: Yeah. Because Haley and I were both creating our characters at the same time and feeding off each other, a lot of Bobby came from my interaction with her. This play is so much about the other person. For her it’s about me and for me it’s about her. So we’re on that level, working together, back and forth, back and forth, listening. It really works so well. And with George’s writing it’s so real. Patrick said he wanted to make it look like there was no direction – like nobody directed it. It’s just two people, working it out for an hour. SSB: Which we all know about. GMC: Exactly, we’ve all been through it. Everyone’s been through it. That’s one of the things I love about the theatre: you can have an entire hour of people, in real time, just working something out. That’s one thing I find interesting about this play, it’s going on in real time. There aren’t time lapses, plot changes or location switches. It’s just two people in a space for an hour. Some people have a hard time with it. They go to the theatre and want to leave feeling like everything worked out at the end. That might not be the case with this play – you probably won’t feel that way. Cause it’s the hard truth. It’s beautiful in that way – in that it doesn’t end in a: they go walking off in the sunset way. That’s the reality of their situation. SSB: So Patrick wanted it to seem like there was no direction. Do you think you’ve achieved that? How does that manifest itself? It’s freeing as an actor to know you don’t have to stick to the same choices. And if Haley says something a different way than she did yesterday, I’m going to react to it a different way, and then we just go back and forth and back and forth. It’s like we’re playing music in this key. It’s really cool when that happens cause we really start cooking. And the audience is like another musician. He’s the other guy in the band – the wild card. He still plays with us! And we just kind of go along with him. But he makes us change it up. SSB: It’s kind of like being on a rollercoaster. You just jumped on and you can’t get off until it’s over. GMC: Patrick used another visual metaphor, that it’s like skiing – gate skiing, navigating around specific obstacles down a hill. The start of the play you’re up there at the top of the hill, looking down at all the gates and you’re like: “Ok! Here we go!” And as you’re going down the hill you have to be in the moment from gate to gate to gate. You have to see maybe one or two gates ahead, but you have to be right in the moment. You can’t look too far ahead or you’ll bale. If you check out for a sec, the audience is going to know and the play will suffer. So that’s what’s really cool about George’s writing too, is it’s so in the moment, all the time. Patrick said that in George’s writing the characters say what they’re thinking exactly when they think it. SSB: What was it like working on a new play by such an iconic Canadian playwright? That’s gotta be crazy in itself! GMC: Yeah it really was! I know Patrick pretty well and they’re friends so that was helpful. I went to theatre school reading his plays, so when I auditioned for the play I was like: “Oh my god!” I was quite nervous coming to Toronto, to a new place, meeting this iconic writer. But he’s just a regular guy, really insightful. He knows a lot about those characters, knows a lot about theatre and it was great to get to know him and work with him. He was so open and so kind to us. I felt very comfortable to act in front of him. Which was great, because I definitely get performance anxiety. I go on stage and I feel my senses get so heightened. I’m just in it so deeply. It’s kind of overwhelming but it makes me very focused. So I’ll be very on the ball, because I’m just so in the moment and the adrenaline’s pumping. I’m not thinking about the past or the future, it’s just right now. SSB: So it ends up helping you. GMC: It does. Sometimes it’s not very fun. SSB: Is there anything you’d want people to know coming to see the play? GMC: That’s a good question. Open your hearts to the characters. And just let it take you on a journey. SSB: What inspires you as an artist? GMC: It’s been very inspiring to come here. New work is very inspiring to me. Creating this character has been very inspiring. Telling stories. I’m very passionate about telling stories and being a medium for a message. When: November 5th-16th, Tues-Sat 7:30pm, Mat Sat 2pm. ← On Our Radar TO: Get Stoked for Theatre this November!